Darlene Altschul was born in 1949. She lives in Woodland Hills in Southern California and is also known as Tarzana Savannah, DKA Productions, and DKA POST. 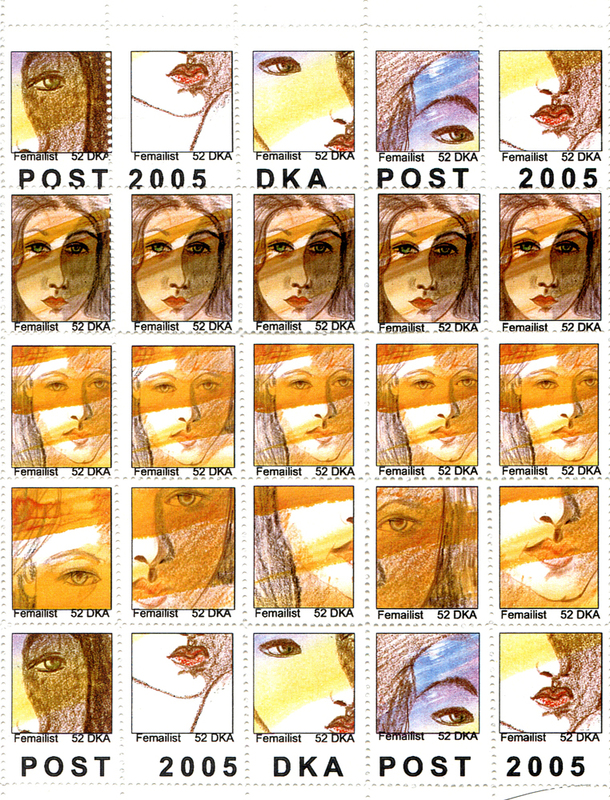 Sine the early 1980s she has been active in the Mail Art network. Blaster Al Ackerman introduced her to Kees Francke. 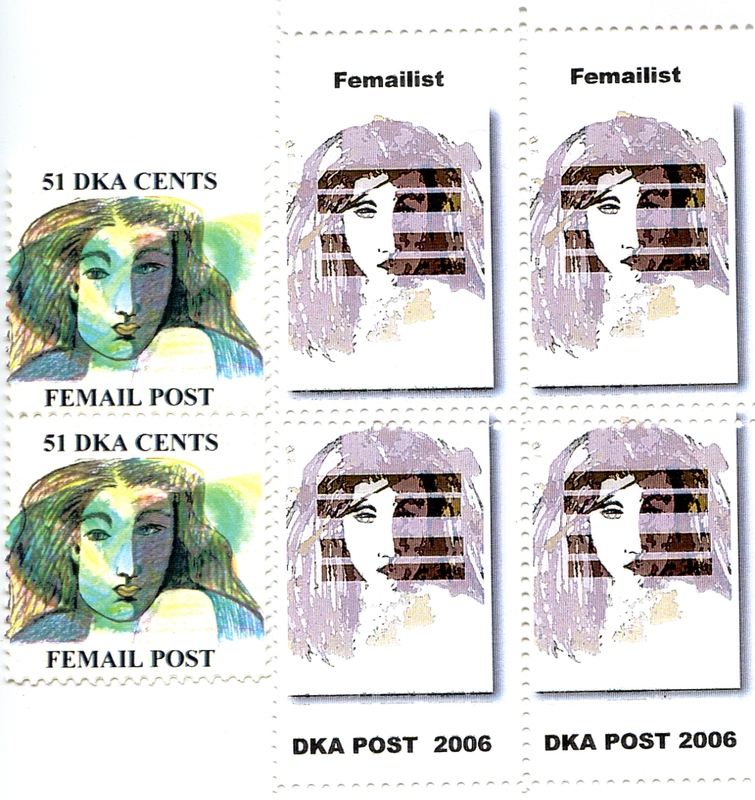 She is an active letter writer and designer of Artistamps. She and her husband run a commerical printing business. Darlene Altschul wurde 1949 geboren. Sie lebt in Woodland Hills in Southern California und ist auch als Tarzana Savannah, DKA Productions und DKA POST bekannt. Seit Anfang der 1980er Jahre ist sie im Mail Art-Netzwerk aktiv. Über Blaster Al Ackerman lernte sie Kees Francke kennen. Sie ist eine aktive Briefschreiberin und Designerin von Artistamps. Sie und ihr Mann betreiben eine Druckerei. 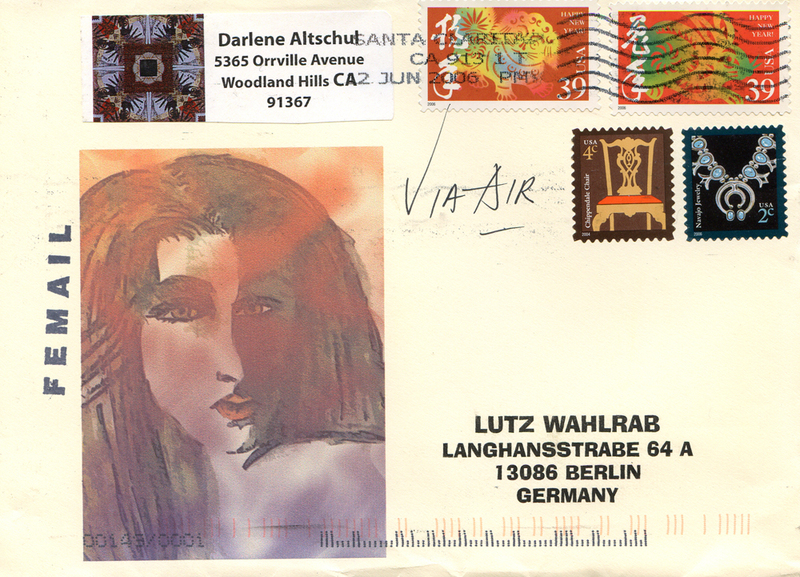 Altschul, Darlene: A MAIL ART TRIBUTE & Souvenir for the Retrospectief Cees Francke, 2003. Thanks Darlene for submitting your mail art entry for the Gala Event of the opening of the Museum of Postal History in Delphos, Ohio. I have posted some of the earlier photos on our guild’s facebook page, go to Delphos Area Art Guild and scroll down to snaps. Then opening reception is Feb 19 – and exhibit runs through 29th. Hope to post more photos by then.